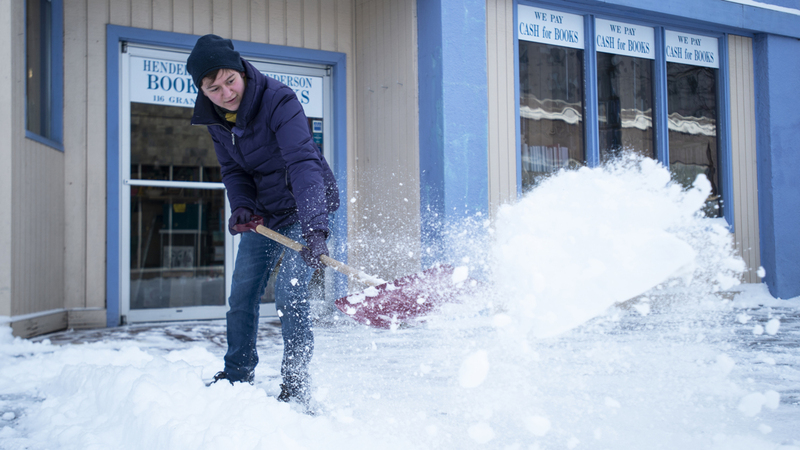 Here’s a list of business closures because of snow in Whatcom County Tuesday. We’re also including a list of businesses where employees made it into work and are open. To add your business or public building, please email newsroom@bellinghamherald.com. ▪ North Coast Credit Union closed all five of its branches on Tuesday, said Carol Anderson, vice president of marketing, in an email. ▪ Legendary Vinyl Records of Bellingham is closed on Tuesday with plans to open on Wednesday at 11, according to a company email. ▪ The Racket Bar & Pinball Lounge is open on Tuesday in downtown Bellingham, according to a Facebook post. ▪ Anthony’s Hearthfire Grill in on Bellingham’s waterfront is closed Tuesday, according to its website. The nearby Anthony’s seafood restaurant is closing at 3 p.m. on Tuesday, according to an employee at the restaurant. ▪ Bellingham Cider Company is closed on Tuesday, according to its Facebook post. ▪ Carne, the Bellingham butcher shop is open Tuesday, according to Facebook. ▪ Boomer’s Drive-In is open Tuesday, continuing its Boomerary annivesary sale, according to Facebook. ▪ El Gitano restaurant in Bellingham is closed on Tuesday, according to its Facebook post. ▪ Boundary Bay Brewery is open today, according to Facebook. ▪ Wander Brewing is opening at 3 p.m.
▪ Leaf & Ladle in Bellingham is open until 9 p.m., according to Facebook. ▪ The Bagelry is closed Tuesday, according to Facebook. ▪ The Northwest Business Club’s monthly meeting scheduled for Wednesday has been canceled. The presentation with Betsy Howe will be rescheduled for later this year, according to a news release. ▪ Bellingham Athletic Club is closing at 2 p.m. on Tuesday in order to get employees home safely, said Owner Cathy Buckley in an email. Check the company’s website for details, particularly updates for Wednesday. ▪ Salish Sea Hypnosis in Bellingham is closed on Tuesday, Kathie Hardy said in an email. ▪ Dirty Dan Harris restaurant in Fairhaven is closed Tuesday, according to Facebook. ▪ Bellingham Coffee Roasters has stopped deliveries Tuesday, will resume as soon as possible, according to a Facebook post. ▪ Galloway’s Cocktail Bar in Fairhaven is closed Tuesday night, according to Facebook. ▪ Bellingham Sportsplex is closing at 5 p.m., so no evening soccer games on Tuesday, according to Facebook. ▪ All three locations of 2020 Solutions are open Tuesday, company spokesman Aaron Nelson said in an email. ▪ Most Family Care Network clinics are open Tuesday, but some are closing early. Get details on hours at Family Care’s website. ▪ The Swim Club bar in Fairhaven announced on Facebook it will be closed Tuesday. ▪ The Simmering Tava restaurant in Bellingham is not only open, but also doing deliveries for a $5 fee on orders over $25, according to Facebook. ▪ Herb’s Cider in Bellingham is closed on Tuesday, according to Facebook. ▪ Chuckanut Brewery & Kitchen in Bellingham is open, serving cold weather foods according to Facebook. ▪ Los Cantaritos Mexican Restaurant in Bellingham is open today, according to a Facebook post. ▪ Quinn and Foster, the clothing store in downtown Bellingham is open today, according to a Facebook post. Nearby the Greenhouse is open into the afternoon, aiming for a 4 p.m. closing time. It may close earlier to make sure employees can get home, according to a Facebook post. ▪ 12th Street Shoes is open today, according to a Facebook post. ▪ Fringe Boutique in the Herald Building is open, closing around 3 p.m. according to a Facebook post. ▪ Aslan Brewing Company is closed Tuesday, according to a Facebook post. ▪ U.S. Bank has closed all its Whatcom County bank branches on Tuesday, according to an email from district manager Troy Buechler. ▪ Scotty Browns in Barkley Village is open for lunch, but will have limited hours, according to a Facebook post. ▪ Mt. Baker Ski Area is open and has more than 19 inches of new powder, according to a Facebook post. ▪ Black Sheep on Holly is open, but its neighbor Goat Mountain Pizza is closed, according to a Facebook post. ▪ The Birch Door Cafe opened this morning and will remain open until 3 p.m., according to a Facebook post. ▪ Bellingham restaurant Saltine has decided not to open Tuesday evening, according to a Facebook post. ▪ Bayside Coin & Jewelry is closed on Tuesday, according to a Facebook post. ▪ The restaurant Burnt Ends in Lynden is not only open, but they are doing deliveries until 5 p.m., according to a Facebook post. ▪ Burnish Clay Studio in Bellingham is closed Tuesday, according to a Facebook post. ▪ Drizzle in Fairhaven is closed Tuesday, according to a Facebook post. ▪ Brazen Shop & Studio is closed Tuesday, according to a Facebook post. ▪ Vander Giessen Nursery in Lynden is open this week, keeping its greenhouses warm during planting season, according to Facebook. ▪ Twin Sisters Brewing in Bellingham has decided to stay closed on Tuesday, according to a Facebook post. ▪ Moreno and Young Dental in Bellingham has decided to close, according to a Facebook post. ▪ The Bellingham restaurant Jeckyl Hyde is open, according to a Facebook post. ▪ The PeaceHealth Medical Group clinics are open today, according to a Facebook post. ▪ HobbyTown USA in Bakerview Square is open today, according to a Facebook post. ▪ The Port of Bellingham offices are closed today. As of 10 a.m. Tuesday the Bellingham International Airport runway was open after being closed earlier this morning, according to a Facebook post. The port is advising travelers to contact the airline for up-to-date schedule information. The Bellingham Cruise Terminal, Blaine and Squalicum harbors are open. ▪ Village Books and Paper Dreams in Fairhaven and Lynden is closed Tuesday. ▪ All Whatcom County Library System Branch libraries and our Administrative Services Center will be closed Tuesday. ▪ Northwest Chiropractic on Northwest Ave. is closed Tuesday. ▪ Statement Apparel in Barkley Village will be closed all day Tuesday. ▪ The Bellingham Composite Squadron, Civil Air Patrol, open house and new member night scheduled for 6:30 p.m. Tuesday is postponed and rescheduled for March 12.